We here at SolidBox value productivity above all in our applications and of course, our hardware. Each week, we’ll be giving you a tip to help you enhance your productivity with SolidWorks specifically. Sorry, we can’t help you with the hours you spend on Youtube each week watching cat videos. 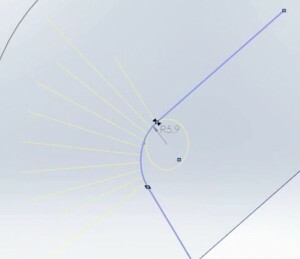 Nonetheless, hopefully you can learn something to make your SolidWorks experience easier. This week we’ll be discussing breaking a sheet metal loft to show bend lines. There are tons of operations you probably will never execute in SolidWorks just because your designs will never call for it. If you don’t work much with sheet metal, then you’d probably not be very familiar with the Sheet Metal functionality in SolidWorks. However, there are some tools that just go under the radar even if you’re a pro. To be candid, adding bend lines to a bended loft between two non-parallel sketches never came up for me before. So, I was interested to learn how when it came up. This video walks you through the steps of this little hidden nugget.